We’re local people making local decisions. Find out what a difference a local bank can make! Proud sponsor of the Adirondack Ski Touring Council and the Jackrabbit Trail since 1986. Get to know us. We have what you need to enjoy the Adirondacks in every season. Guide House (3 bedrooms) and High Peaks House (4 bedrooms) are completely furnished with full kitchens. Wax room and bike storage available. Rates: $140-400 per night. $1,000-$3,000 per week. Short drive to Main Street, short walk to the Jack Rabbit Trail and a beautiful view of Lake Placid. All rooms have fridge, coffee maker, microwave. Specialty rooms add to the ADK experience. Overlooking the shores of Mirror Lake and anchoring Main Street - the hub of shopping, dining and entertainment is High Peaks Resort, a modern Adirondack retreat in the heart of Lake Placid. 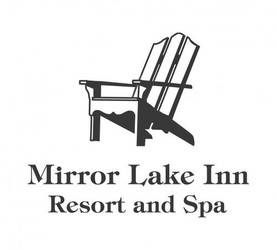 A Classic Lake Placid Hotel, Transformed Into a Modern Retreat on the Shores of Mirror Lake. You don't have to be world-class to ski our trails, but you can feel that way when you do. Gliding through some of the most beautiful terrain in the east, taking in the towering white pines, crisp, clean air, the calm of the Adirondack woods. That's what cross-country skiing here at Mt. Van Hoevenberg in Lake Placid is about. A day on our impeccably groomed cross-country trails will exhaust and replenish you all at once. We offer lessons, equipment rentals and sales, and a café. 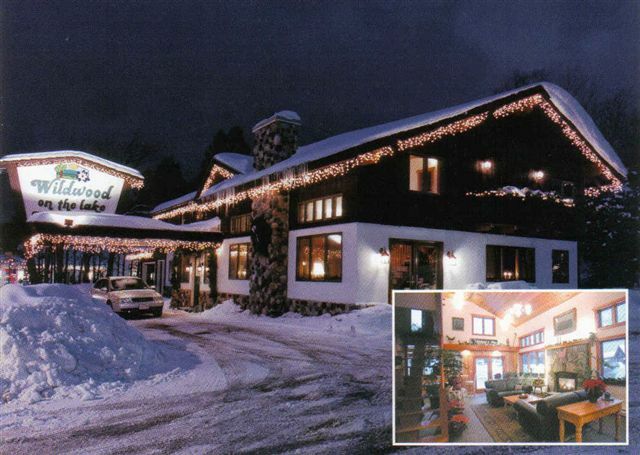 Picturesque inn located directly on Lake Placid in the village. Short walk to downtown or to the Jackrabbit Trail. All accommodations are newly renovated and comfortably appointed with free wi-fi. 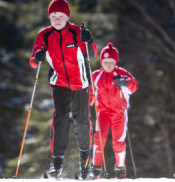 We offer numerous packages including free skiing on groomed trails at Whiteface Club. Discounted ski & stay packages. The Jackrabbit Ski Trail is supported by many local businesses, who have given resources and services over the years. We appreciate their support and suggest that users of the trail recognize them with patronage. If you would like to sponsor the Adirondack Ski Trail Council and help support the Jack Rabbit Trail, please contact us through the contact page. We appreciate your support for this community resource. Cozy cabins, cottages, homes and camps in the Lake Placid area featuring full kitchens and many with fireplaces and hot tubs. 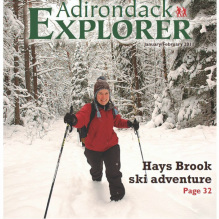 Stay at ADK's Heart Lake Program Center and enjoy miles of hiking, skiing, and exploring in the adjacent High Peaks. 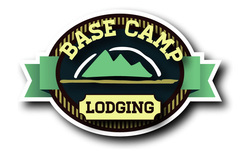 Comfortable rooms, cabins, and bunks for groups of all sizes. Equipment rentals, education workshops, breakfast included, dinners available. Great skiing, hiking, paddling and outdoor adventures in 7 big, color issues a year. Available in print or digital subscriptions. 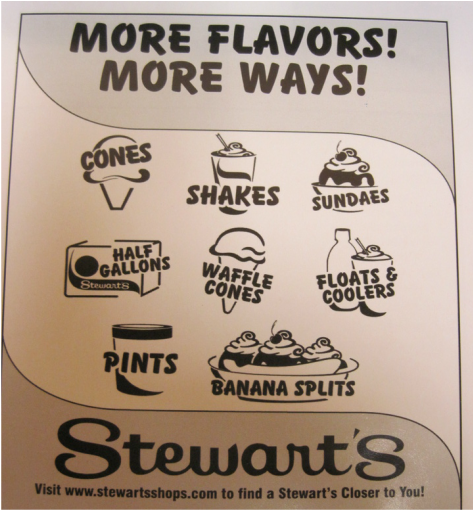 Serving the area's needs for over 30 years. #1 Resort & #1 Ski Hotel in Conde Nast Reader's Choice Awards 2012. 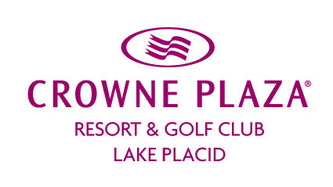 Three on premises restaurants including The View, Lake Placid's only 4-Diamond restaurant & The Cottage for apres-ski. 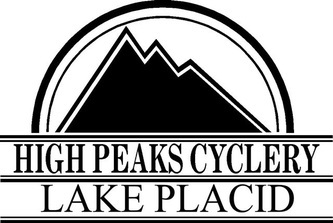 *We are experts in helping people enjoy Lake Placid and all it has to offer, and getting people into the outdoors in the Adirondacks. *We have 2 houses. 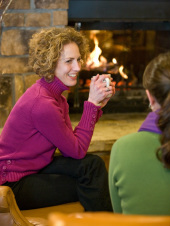 They are both a perfect place for individuals or groups to get ready, and relax after a great day of outdoor adventure. *Our "Guide House", on Main St (2nd floor) is upstairs from our Guide Service. 3 bedrooms with comfy bunk and double futon beds, 1+ bathroom, full kitchen, dinette, bath, and living room with TV - all newly renovated. *The "High Peaks" house is 4 bedroom 1- 1/2 bath house with a big gear room and laundry off the kitchen, a double bedroom off the living room and upstairs *3 bedrooms- one double, one with twins, and one with 2 double bunks and a futon couch. *Great view of the High Peaks mountains out the front window of the High Peaks House and the huge shared deck of both houses. *Wax room and bike storage in garage for skiers and bikers. SKIFEST 2015 will take place March 7 & 8, 2015. Information for SKIFEST 2015 will be posted soon – check back!